I found this picture of me becoming a Ruling Elder at Emmanuel church, among my photos back in 1997. This is me and my friend Eddy Rodrigues (we are still friends today) having the elders praying with their hands on us. 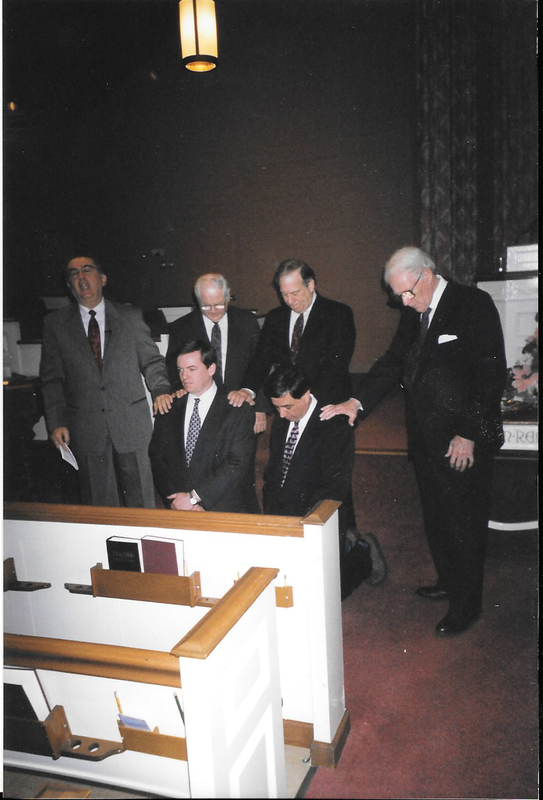 The men standing from left to right are Pastor Kostas, Bill Stephens, Robert Freeman, and George Christian.